Are you ready to give the SSI specialty Equipment Techniques as an instructor independently? At our dive school you can become an SSI specialty instructor / Training specialist, our Assistant Instructor Trainer (AIT) Wilfred (SSI AIT # 73993) has (seminar) training in many SSI specialties at Pro level so there is always something for you! The great advantage of following an SSI specialty seminar at instructor level is that the candidate does not need to submit logged diving / experience and can obtain the specialty instructor rating after completing the specialty seminar given by an SSI Assistant Instructor Trainer (AIT)! -You will be taught by an experienced SSI specialty instructor trainer. -The candidate does not need to demonstrate logged diving / experience. -SSI Monitor yours SSI Dive Center / Resort does not have to sign. -Seminars are interactive and use active learning sessions to learn the program. -Candidates have more interaction with their instructors and can quickly learn from their experience. -Seminar may be followed immediately after an ITC to add training value and earnings. The starting price mentioned is for one (1) complete specialty seminar, including practical lessons. You can purchase the necessary / mandatory SSI teaching materials / instructor kit (€ 50, - ex VAT) yourself via your SSI Pro account or via our diving school for an additional charge. Our assistant instructor trainer will gladly tell you more about it! Upon purchase of the 'Specialty Instructor Bundle', the instructor candidate receives 5 digital Specialty Instructor packages (SSI Teaching Materials) for the special price of 3 our assistant instructor trainer will gladly tell you more! For the SSI Equipment Techniques specialty instructor seminar mandatory use is made of the digital teaching package / instructor outlines *, which means that you can consult all necessary data via the SSI system, including exams *, power point presentations * and the like * (* If available ) this package is of course available via your own SSI dive pro login! Some instructor packages are currently only available in English. If an SSI digital package is available, the theory applies that we assume that you have mastered this by means of self-study and you have read the outlines as a specialty instructors candidate, you know the participation requirements and so on, you can answer the questions in the outlines and you can explain to course participants, you see it as preparation for this course is of great importance, do you also take into account that you as a specialty instructor candidate must also take a (final) exam ?! View our SSI specialty folder you can download it here: click here! Duration of a specialty seminar: Approximately one day depending on student progress. 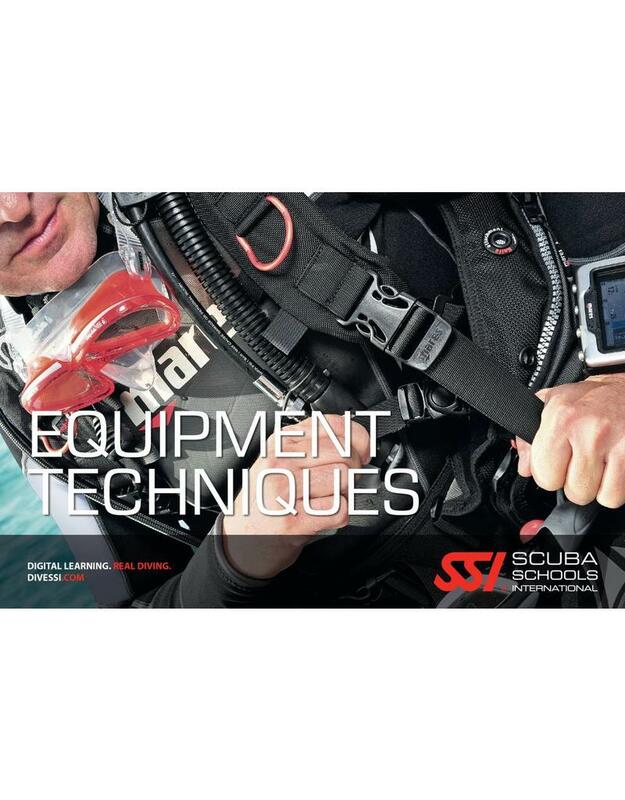 The SSI Equipment Techniques specialty instructor seminar can be followed at our diving school in Vinkeveen and Almere 7 days a week between 09:00 and 23:00 h. Call or email us directly to record your date or book directly online and we will contact you. with you for making an appointment when it suits you! Diving equipment: During the SSI Equipment Techniquesspecialty instructor seminar you use your own diving equipment or you can rent the necessary diving equipment with us!